SWING BACCHUS NEW YEAR LIVE !! SWING BACCHUS YEAR END LIVE !! 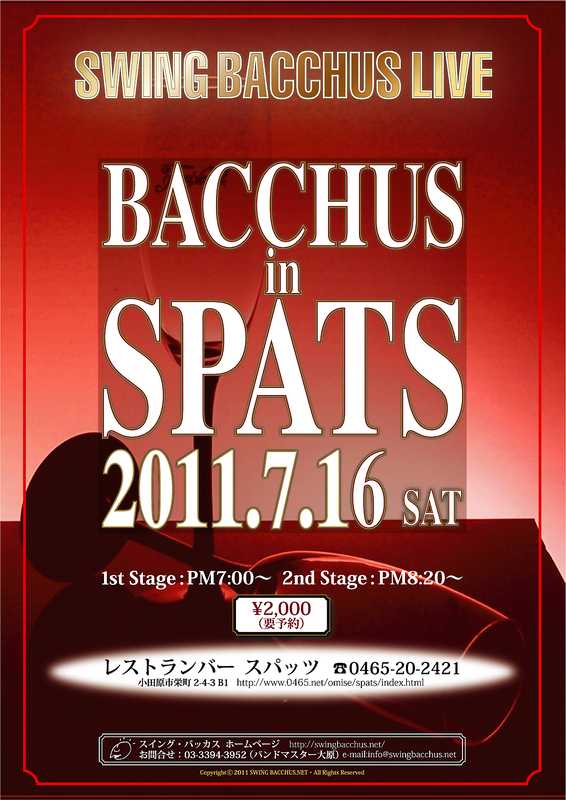 BACCHUS in SPATS 2018 Oct. Copyright (C) 2010-2017 SWING BACCHUS.NET All Rights Reserved.